blogs.adb.org: Human nature is wired to forget what it does not see, and to ignore what it does not deem as attractive. In our urban systems, that would be wastewater. Who takes a second to think about where all water discharged, flushed, or processed goes? Hardly anyone, and yet this is a vital piece in the machinery that makes our world go round. Even data on wastewater generated globally is not systematically monitored. For municipal and industrial wastewater in 2015, estimates put it at 940 cubic kilometer per year. What is certain, on the other hand, is that 80% of the world’s wastewater is released to the environment without treatment, and this number goes up to over 95% in some least developed countries, according to the UN. On a recent stroll around Chinatown in Manila, that statistic became all too real. My family and I were initially fascinated with the flurry of activity, the crowds, the shops and Chinese restaurants, as well as the gold and jade dealers. But when we came to a bridge crossing one of the small estuaries of the Pasig River that feeling and excitement from the exotic suddenly stopped. We were faced not with an idyllic creek but a gray, almost blackish body of water full of garbage. Megacities such as Metro Manila, despite important appearances of progress, still do not have adequate sanitation and wastewater treatment. It is estimated that more than 11 million of Metro Manila’s population is using on-site sanitation facilities and that there are more than two million septic tanks installed in the Philippines’ capital region. The technical design and construction quality of the septic tanks is often poor, and they are not regularly emptied. That’s when the effluent typically flows into open drains and water bodies. In neighboring Indonesia, 64% of households have septic tanks, but only 4% of the septage is treated. Water systems are already beset with immense challenges such as water scarcity, increasing demand due to urbanisation and population growth, and climate change impacts. Increased discharges of untreated wastewater add to the pollution of water sources, and further diminish water quality. To address these issues, radical changes within the water sector are required. Promising examples include innovative solutions for wastewater treatment, distributed or on-site treatment of wastewater, resource recovery, and institutional and organisational reforms that can make the “out of sight, out of mind” practice obsolete. 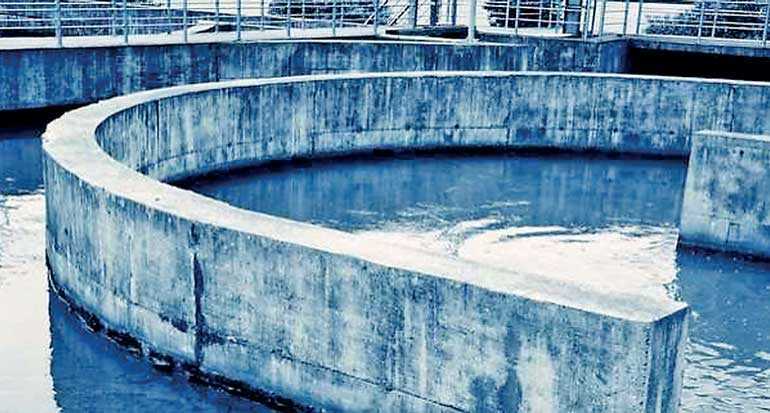 In Biñan, a city just south of Metro Manila in Laguna province, there is a wastewater treatment plant that has begun using an alternative approach. The facility is located in a densely populated area and has applied a nature-based technology—comprised of plants, microorganisms, biofilms, and engineered media—to break down the wastewater in a biological process that requires less energy and produces less sludge compared to a conventional centralised treatment plant.